Education Costs > How Much Does Mathnasium Cost? How Much Does Mathnasium Cost? 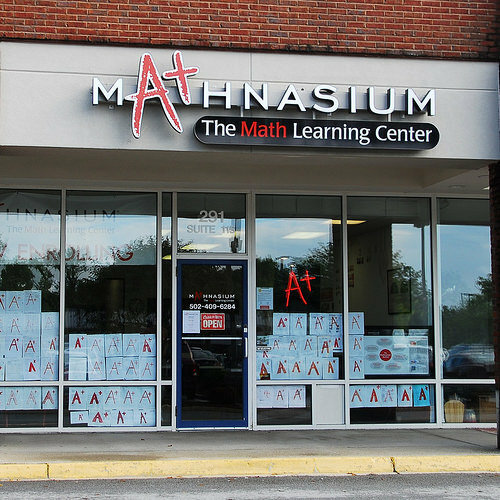 Mathnasium, a neighborhood afterschool math-only learning center, will help teach kids math in a way so it makes sense to them. Using a proprietary teaching method and materials, known as the Mathnasium Method™, the company, as per the official website, is able to create a customized learning plan for each student’s needs, regardless of their current level. As of today, the center teaches math from first grade through Calculus as well as help with standardized tests such as the SAT. With each Mathnasium location independently owned, you can find a center near you by using the company’s official search tool. If you’re interested in learning about the costs of Mathnasium, the company asks that you contact your local center or fill out the form on the official website of your center for more information. At the date of this publishing, for example, the centers we looked at offered a free trial if you wanted to see how the system worked. We were also able to find some discounted deals for some locations via Yelp.com and Groupon.com as well. From the looks of it, the company offers three-, six- and 12-month plans, all of which range anywhere from $300 to $425+ a month, all depending on the plan you sign up for, the curriculum and which location you choose. Aside from this monthly fee, it appears there’s an assessment fee, which averages about $100 as a one-time fee, and another $50 or so for the registration fee. These fees, however, are often waived during certain promotional periods. Aside from the recurring monthly fees, the company also offers summer programs, which average anywhere from $395 to $1,000+, greatly depending on the number of sessions, the location and the curriculum. This EventBrite.com page, for instance, had summer programs ranging anywhere from $395 for eight sessions for grades 1-8 and up to $975 for unlimited one-hour sessions. The Mathnasium Method™, created by Larry Martinek, the creator of Mathnasium, was developed based on Larry’s extensive experience for more than 40 years of teaching math to kids. All Mathnasium students, regardless of their level, start with a customized assessment which helps pinpoint their learning needs, allowing the company to meet them “where they need to be and take them where they need to go.” The company’s assessment test, as per the company, was designed in a way, with great accuracy, to help determine exactly what your child knows today and what they need to learn for the future. The test also reveals each specific skill that needs to be mastered so that your kids are not reviewing material they already know. Even as your child continues with the program, he or she will continue to take assessments to make sure they are progressing as they should as well as retaining the information they already learned. After the assessment completes, Mathnasium then is able to create a customized learning program, which is designed in a way to help teach your child the concepts he or she needs to master as well as create specific goals using a combination of the company’s proprietary materials and instruction. With this customized learning plan, Mathnasium’s specially-trained tutors are then able to use it and teach the instruction to help make sure your child masters the materials, providing you with regular updates and quarterly progress reports, showing your child’s progress. All of these sessions take place inside of a center in small groups, in a 3:1 ratio, and no homework is ever required once your child leaves. According to the company, each tutor is required to pass a rigorous math screening test, become familiar with the company’s approach and translate all of these concepts which relate to the kids.